"You know, I don't know how one can walk by a tree and not be happy at the sight of it?" writes Fyodor Dostoyevsky in The Idiot. Perhaps this sentence might explain the subject of women in trees that was so popular between the 1920s and '50s and has until now never before been assembled in a book. The enthusiastic collector Jochen Raiss discovered this motif during his flea market excursions. These photographs feature young women at dizzying heights who, at times, smile into the camera as if they were in love. The publication assembles the finds from this charming genre that Raiss compiled over a period of 25 years. 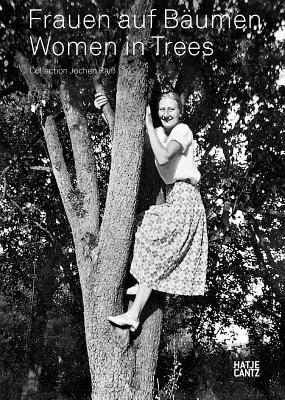 Whether the women are cheerfully dangling their legs, casually nestling in the branch forks or athletically climbing to the treetop, each picture has its own story to tell.